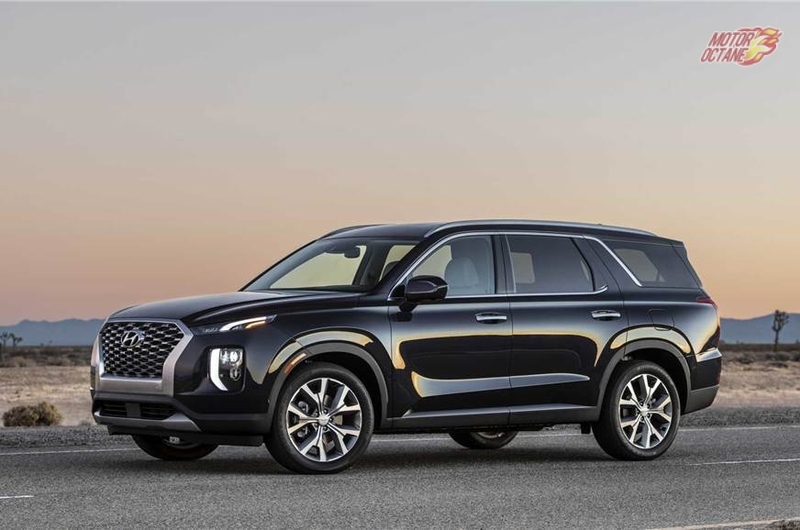 The Korean giant’s next new SUV is the Hyundai Palisade. This new SUV has been recently shown at the L.A Auto Show. This will be the new flagship SUV from Hyundai. Hyundai is getting aggressive and wants to take it game further to more premium SUVs. 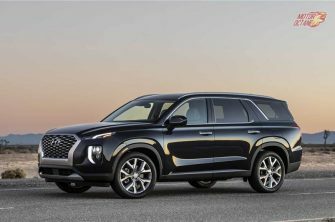 The Hyundai Palisade is based on a monocoque chassis and will squarely compete with the Skoda Kodiaq. Yes, this will be a seven seater SUV and like the Kodiaq will be front wheel drive, with AWD option. Hyundai has been getting aggressive in its SUV portfolio. Now, we see another large SUV by the Korean manufacturer being readied. The Palisade will first be launched in USA and thereafter in other markets around the world. It can’t be said as of now, whether this will be brought to India. Hyundai has the new Santa Fe, which is a Fortuner competitor and already is a well-known brand in India. However, as the new Santa Fe has not managed to make a dent in the market with its competitors owning the large chunk of the segement, it is possible that the Palisade will become the flagship SUV of Hyundai and will be launched in India. If it comes to India, it will only be by late 2020. The Hyundai Palisade will be globally unveiled in 2019. The deliveries of this SUV are expected to commence by early 2020. If launched in India, it will come by late 2020. 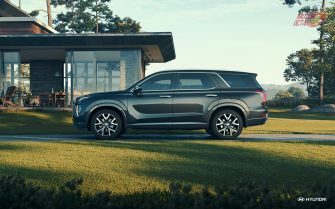 If launched in India, the Hyundai Palisade will be priced approximately between Rs. 30 lakhs and Rs.35 lakhs. This will make it fall in the category of the Toyota Fortuner and Ford Endeavour, apart from the Skoda Kodiaq. Hyundai will try and price it aggressively, but the same cannot be confirmed as of now. The car has been unvieled at the L.A Auto Show and has received a very warm reception. The Palisade SUV is based on the Fluidic 2.0 design language and takes a lot of styling cues from the new Santa Fe and Kona SUVs. 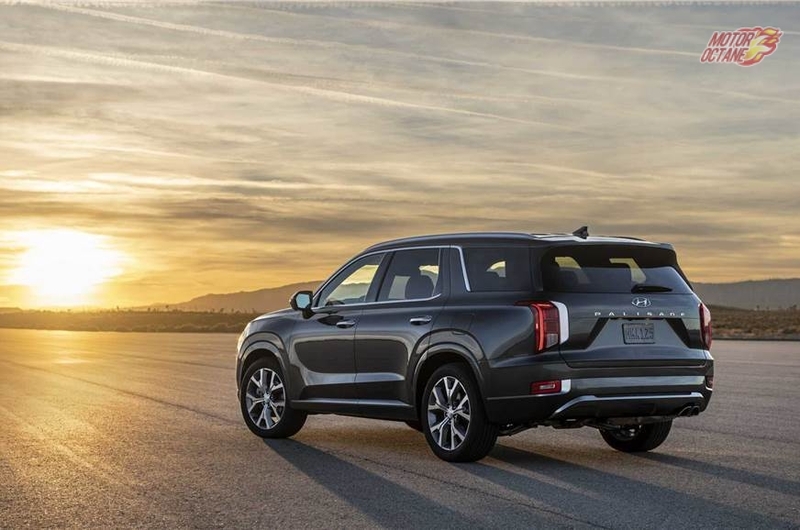 It will be based on the same platform as the Kia Telluride, which means this is a large 8-seater. It will get sleek headlamps which will be full LEDs. 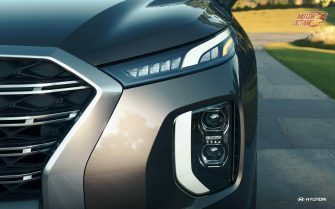 The grille will be the signature Hyundai one and it will have large LED taillamps too. The look of the SUV will be more premium than other SUVs from Hyundai stables. The car has a very palatial feel and is aimed at wowing the American audiences who like big SUVs like this. The interiors will also be contemporary. 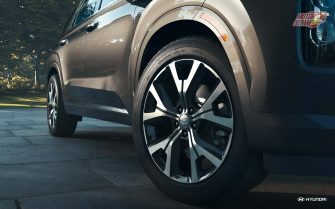 They will not be very different form the Santa Fe, but will use more premium materials inside. 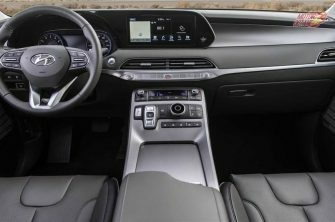 It will also be feature loaded with Hyundai’ latest infotainment system, safety equipment and driver interface. This will have loads of space inside. The second row and the third row will have immense space and this will be the USP of the Hyundai Palisade. This could be just the right premium SUV for Hyundai to bring to India. The Palisade gets a full digital instrument cluster, in-car intercom, rear seat conversation and sleep mode. 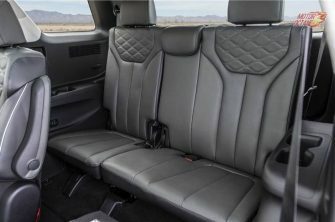 The interior is family friendly with the 3rd row getting electronic folding seats and standard one touch 2nd row seat with 3rd row access. The car gets smart collision avoidance assist for rear side and front. The Palisade is powered by 3.8-litre V6 petrol that churns out 295bhp and 355Nm of torque. This engine is paired to an eight-speed automatic gearbox, which can send power to either two wheels or to all-four wheels, depending on the specification. Hyundai’s HTRAC all-wheel drive system comes with Normal, Sport, and Smart modes. The Honda CRV and the Skoda Kodiaq seam to be the natural competitors for this car but the size of this giant puts them to shame. 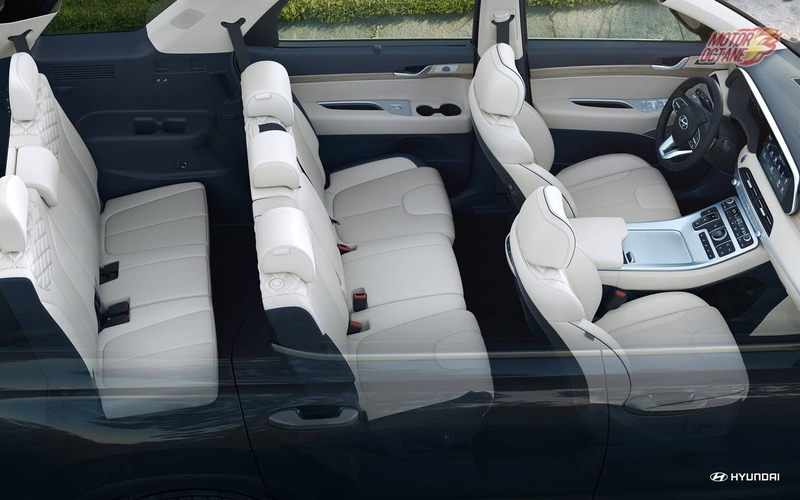 The Hyundai Paliside is a bigger car than anyone could have thought. Really fantastic.I am not so rich to buy one. However, it is really good on all respect.